Headstone Warehouse has great pride in knowing we provide affordable memorials with no compromises. Your enquiry is welcomed as there is virtually nothing we cannot help you with creating your vision, whether it is a new memorial or restoring an existing one. In fact we have just incorporated quite a few styles into our large range. 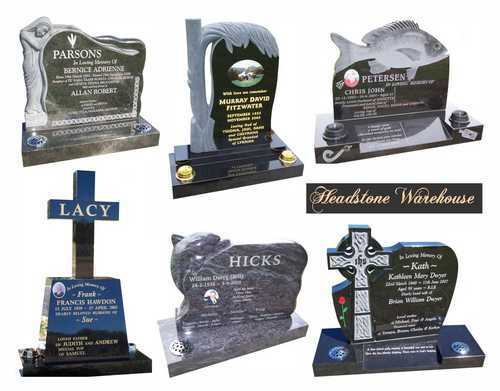 At any given time there are over 2000 headstones and bases available in our Warehouse, but if you require something we don’t have at this point, we can have it manufactured for you – available within a 2-4 month period depending on where we are in our shipping cycle. Remember we are a fourth generation family business, so rest assured you are in good hands. 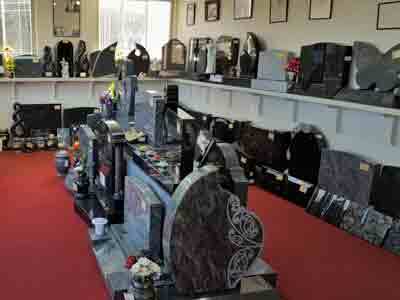 We have one of the largest headstone ranges in New Zealand. Read on to view them all. Our restoration services range from making your loved one's headstone look like new, to large scale alterations. Read on to see some example work. Here is a library of just a few of the thousands of monuments we have completed, we trust they will help you in your decision making. Read on to find information about where to find our showrooms and how to get in touch. This family business is owned by Daryl and Rose Anderson, Daryl being a 4th generation apprenticeship served Monumental Mason with 45 years personal experience. He has spent 36 years working in Taranaki, therefore is familiar with all the cemeteries and Urupa in the area. We erect headstones ourselves in the greater Taranaki region and also freight memorials throughout the country, or Pacific Island region for installation. Our new look price list is on this website can be viewed on your mobile device easily and has the helpful addition of the actual headstone image/design which will make the choosing process so much easier. We design and print all our own brochures so there is definitely a personal touch to them. We truly believe this will assist families even more but rest assured we are still providing very affordable memorials for our clients.